Owning a home is a gratifying experience that can also offer great financial gains. However, it does take a certain level of financial and mental preparedness. Here are some key questions and comments that will help get you focused on a successful path to owning a home. Owning your own home is more than just being able to decorate any way you like; it's about being prepared to maintain your home over the years, realizing that part of your income and time will go towards repairs and maintenance. It's about being willing to take the risks of home ownership with a realistic expectation of the rewards. Based on your income, job stability, monthly debt, and credit scores, a mortgage lender will be able to help you assess how much of a mortgage payment you can afford and/or want to pay. It may be better to buy a modest home now, build some home equity, and look at purchasing your "dream home" in a few years. This is something that lenders take very seriously. Depending upon what type of loan you secure, Your overall debt should not be more than 40-44% of your income, and your housing debt should not be more than 32%. What 32% of your income will buy depends on where you want to live. Buying in suburban areas for example, could buy a very spacious home, while buying In popular Denver or Boulder neighborhoods would likely mean compromising on square footage. You need a good Buyer Agent who will work hard for you. Our Buyer Agents are dedicated to helping you find the right home, at the best price. We want you to find the home that will make you a happy home owner. 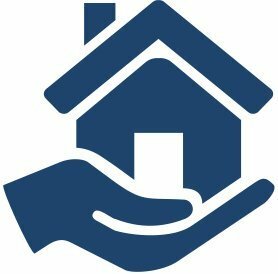 Check-out some of our other Home Buyer Resource pages, there you will find some helpful home buyer tools, information, and Our Guarantee. Though we like to offer as much helpful information on our site as possible, it is really more beneficial to meet in person. One of our Buyer Agents would be happy to share the home buying process in more detail and ultimately help you navigate the process from start to finish! We are paid by the seller, so our services are free to you! Contact us! Keep your objectives in mind when visiting a home. Sometimes the idea of owning a home can overwhelm your practical sense, so keep your feelings in check. Keep a list handy of the features that you need and want in a home, and judge each home by the list instead of by details that could distract you from your goal. Your agent can help you think about the pros and cons of each home, while still keeping our eyes out for a great property. Making an offer. This can be a flurry of preparedness and excitement! As your Buyer Agent, we will prepare the contract and go through it with you before submitting it to the seller and their respective agent. The seller may reject or counter your offer, and we may be competing with other offers too. We will manage the offer process with your best interest in mind, keeping you informed every step of the way. Once you are under contract on a home, you will need to write a check for the required earnest money deposit. The earnest money is showing good faith to the seller that you are a serious buyer. This deposit will be applied to your overall down payment, so it will be accounted for. Get all necessary inspections done. You will want to hire a home inspector who will check for signs of harmful materials like asbestos, lead paint, and mold. They will also inspect all key systems in the home, like the furnace, roof, electrical, and plumbing. You may want to also have the sewer line scoped and evaluated, just to make sure it is functioning properly too. Home inspections are an important part of the home purchase and if any issues arise from the inspections, we will negotiate repairs and/or financial credits from the seller, on your behalf. Inspections can cost between $300 to $500, but are well worth it. There are several home inspectors in the area that we'd be happy to recommend. Do a final walkthrough before closing. We will meet at the home and do a thorough inspection of the home. We will make sure all repairs the seller agreed to make have been done to your satisfaction and make sure the home is in acceptable condition for your possession. From our first meeting that determines what you want to buy and where you want to live, to the moment that you receive the keys, we can help you with the home buying process from beginning to end. Don't hesitate to contact us to find out more about how we can make the home buying process an informative, productive, and fun experience! Contact us for more information about buying your first home!